One of the University of Toronto’s latest building projects, a 14-storey academic building on top of the Goldring Centre for High Performance Sport, next to Varsity Stadium, is going back to basics — with a twist. 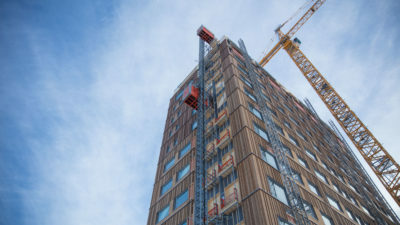 It’ll be constructed mainly of mass timber, and when it’s done, it’ll be one of the tallest mass-timber-and-concrete hybrid buildings in North America. Yes, wood is back. The building material comes with a number of benefits — environmentally friendly, lightweight — and support from the Ontario government.